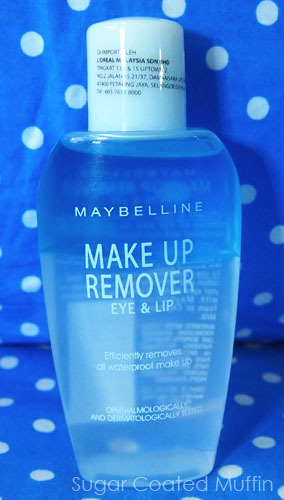 Have been in love with this makeup remover from Maybelline ever since the first time I tried it. It is my absolute HG product! Whatever my cleansing oils/creams/waters etc can't remove, this will do the job. Except those eyeliners that stain, of course. It says eye & lip but honestly, I use this all over my face sometimes. It just gives me peace of mind knowing it removed all the makeup. This gets rid of BB creams, foundations, super PITA mascaras (Majorlica Majorca), dark eyeshadows, liquid/gel/pencil eyeliners and pretty much whatever I put on my face including eyelash glue which I would say is the toughest to remove (oh and glitter too). Despite it being so 'strong', it's extremely gentle on my eyes! No stinging sensation or cloudiness at all! Shake the bottle to mix the two layers.. Taking too much of the blue oil will make it harder to wash off but the clear layer doesn't remove makeup. This amount is enough for 1 eye. 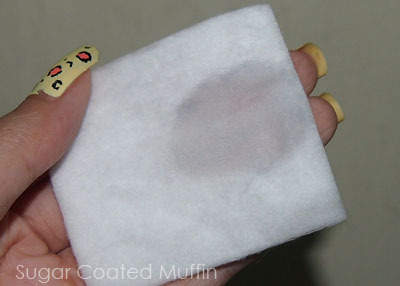 If I have very heavy makeup on, I'll use the whole cotton pad for my eyes and another for face & to wipe my eyes again. It does leave an oily residue (must double cleanse) but not greasy like the Biore Cleansing Oil. It's sometimes compared to the Loreal one which is also bi-layer but IMO this cleans better and is less oily. On days I only have light makeup on, I wouldn't use this on my whole face though as it's oilier than the Empro Perfect Makeup Remover. A new competitor has come up which is by Biore in the pink bottle. 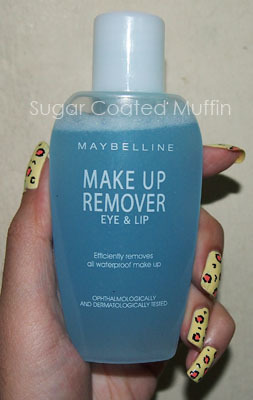 Have not tried it but I do wonder if it will replace Maybelline as my HG makeup remover. My conclusion : Repurchase? YES! I want to try it too!!! It seems to be a very good product! 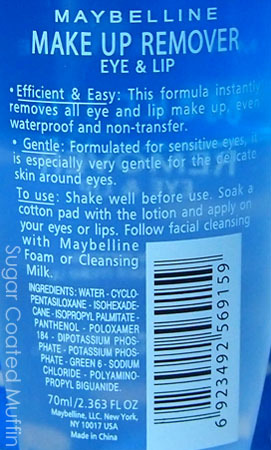 I've been using this makeup remover for a verrrry long time too! To be honest it's my HG as well, and nothing I've tried so far has replaced it. I've never tried using it all over my face, though. Oh i never even seen this product before! I prefer to use neutrogena make up remover! If i see this around i might buy it!